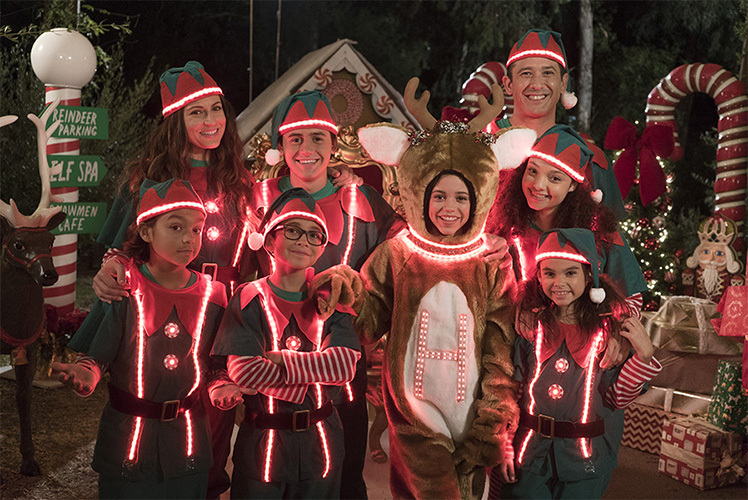 Q+A: Do you have the same holiday traditions as Jenna Ortega? The holidays are literally right around the corner, so you know what that means: new holiday specials! One that we’re totally stoked about is the new Stuck in the Middle special, Stuck at Christmas! Be prepared for all the insanity that takes place when the Diaz family tries to take a trip to go see their abuela for Christmas. While trying to take a flight down to Florida, things go south and they somehow find themselves stranded in a small city and forced to compete in an “Iron Elf” competition to make it to Abuela’s in time for Christmas. We got to chatting with Jenna Ortega, who plays our favorite middle child, Harley Diaz and she gave us all the deets on what to expect in the holiday special that premieres on Disney Channel tomorrow! 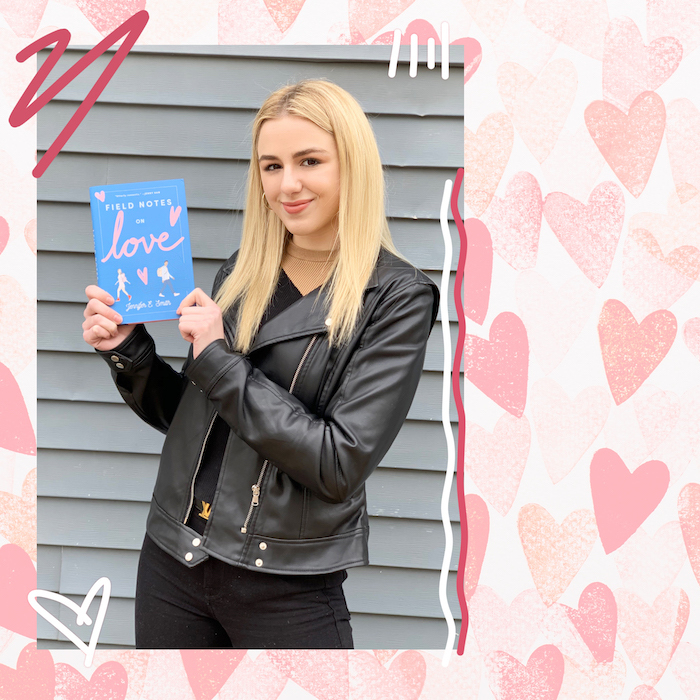 If you want all the secrets about the special and how Jenna spends Christmas with her family, read on! GL: So you guys get stuck in a small town and you have to compete in the “Iron Elf” competition. What is the “Iron Elf” competition? JO: The “Iron Elf” competition is kind of hard to explain. They call it an obstacle course and it kind of has this trapeze involved so it’s like a circus edition of an obstacle course. It’s very rare, very unusual and it’s very hard. I was the leader of the competition so everyone had to retrieve gifts and I was hanging out at the sled, retrieving gifts, telling everyone where to go and what to do. I was the boss. GL: What's your favorite memory from filming the Christmas special? JO: My favorite moments were when we were filming the scenes for the obstacle course. It was freezing outside and I was so tired, and when that happens I get super delusional and I just start cracking jokes left and right. To make things even funnier, I was wearing a reindeer costume that night, but my costume wasn’t ready yet, so I just had the reindeer head on. So I was dancing, I was singing, I was rolling on the ground in this reindeer head. Everyone was laughing and just asking my mom, “What is wrong with your daughter?” It was such a funny night! GL: Do you and your actual family have any holiday traditions that you love? JO: First of all, we obviously cannot open the Christmas presents without our parents being there. We just have to sit there and wait for them to wake up. Also, we bake cookies together and we have all these crazy cookie cutter shapes. We’ll watch some type of movie together. Last year’s movie was The Planet of the Apes. It was one of my brother’s gifts so us girls were like "meh," but we watched it anyway because it’s like a tradition. This year *I* want to pick the movie! GL: What secrets can spill me about the upcoming season of Stuck in the Middle? JO: All I can say is that the Diaz family gets trapped in a lot more chaos, but Harley is also a lot more confident and she’s in high school now. So it’s kind of like her navigating life in high school with friends and making projects for school. It’s really cool. There’s also going to be new characters, including a new neighbor who drives me crazy! And he’s actually related to a character who has been on the show before so I’m excited for everyone to be in! Stuck at Christmas premieres Friday, Dec. 8 on Disney Channel at 8 p.m. EST. Get ready for the premiere by watching the preview now! Are you excited for Stuck at Christmas? What are your holiday traditions? Let us know in the comments!